At first it was sorta funny and ironic. Of course I get sick the day I decide to go on a diet. But today is day 5 of feeling like death. I’ll spare you the details of my unfortunate symptoms. Let’s just say I’m tired of it. 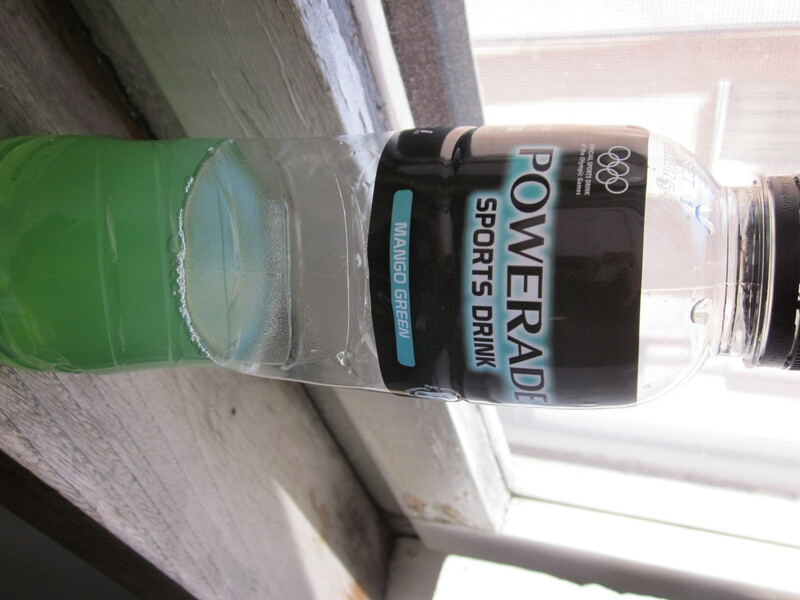 Yesterday, I ate two slices of plain toast, a kiwi, and two bottles of powerade. Today, I made apple mush. 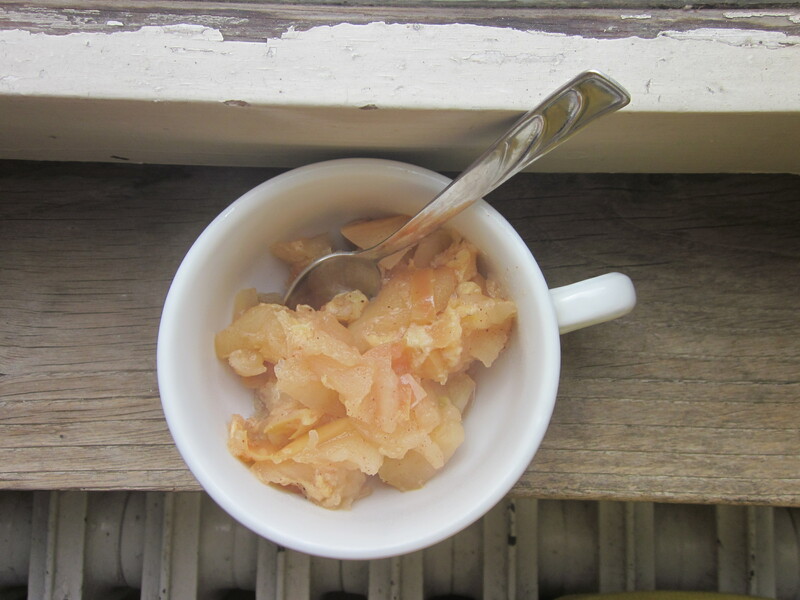 Apple mush is the weak/lazy lady’s version of apple sauce. I chopped up two apples (with peel, because I have no energy to peel apples), sliced 1 banana and put them in a small pot, sprinkled them with a dash of cinnamon and added 1/2 cup of water. Then I let it simmer for 25 minutes. I mixed it around and broke up the pieces a bit and called it apple mush. My body hasn’t rejected it yet, but I’m reluctant to even write that. Green Mango? It just tasted really sweet, not really like mango. Arancia Rossa is Blood Orange. Tastes like a stronger orange flavor. 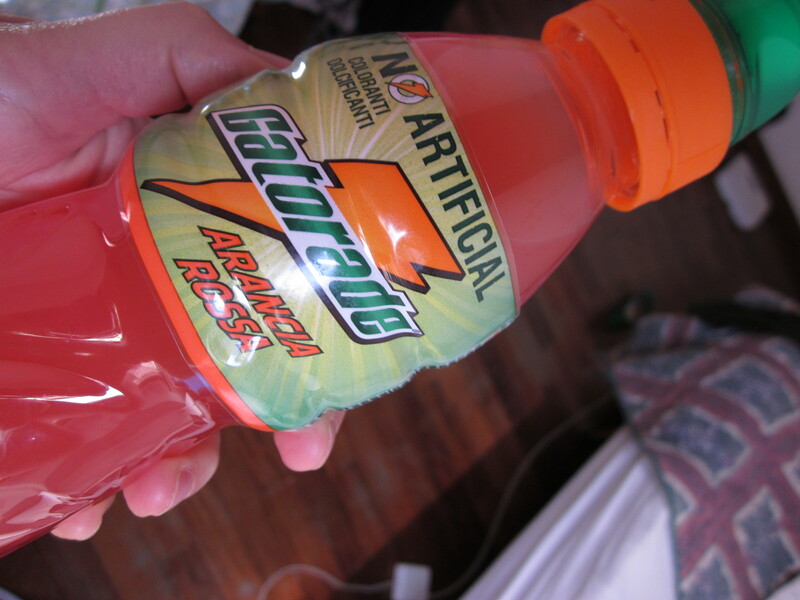 Maybe more like real orange than the regular orange gatorade? It’s been 5 days of illness now. Cross your fingers that I’ll be better by tomorrow. I’m tired of my apartment. I need some human interaction. Glad you’re heating solid food now! ish. Yikes– this is the illness that won’t go away!!! I hope you feel better very soon! Hey! I just came across your blog and I am so sorry you are sick, that is the worst I really hope you start feeling better soon. Oh no! That sounds really bad. Rest up over there!